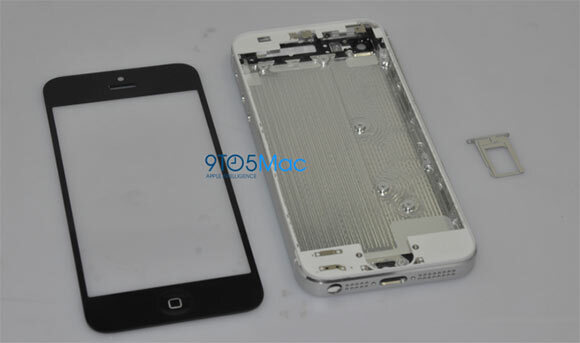 We're hearing new reports about a smaller dock connector debuting on the iPhone 5 - this time courtesy of insider sources close to Reuters. While we've heard before that the next iPhone will feature a smaller dock connector this is the first time we get a sneak peek at the actual size. According to the undisclosed sources the new dock connector will be 19-pin, instead of the previous 30-pin one. The new smaller dock will open up space at the bottom for the migrating 3.5 mm headphone jack (which makes its way down from the top of the device), whilst keeping the microphone and speaker grills at their previous locations, albeit with a different design. A new connector will surely infuriate the numerous owners of accessories, tailored for the iPhone, iPad and iPod Touch. And it makes us think why put a brand new connector instead of just switching to the popular microUSB. Apple is sure to have its reasons, but on the surface it looks like a move motivated mostly by the company's aim to sell more accessories. In other news DigiTimes reports that Taiwan-based Pegatron has begun production of the next iPhone in their Shanghai factory. The iPhone 5 should hit the shelves around October with sources suggesting it will feature a bigger display of 16:9 aspect ratio, an updated design and finally sporting the shiny new iOS 6 (but you knew that already, didn't you). I've used Android products and they are very slow, lag at times, and I need to restart them almost every time.